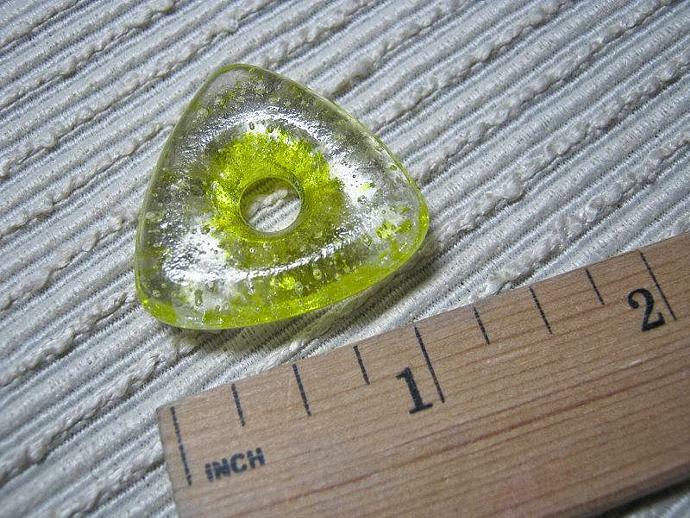 THIS LISTING IS FOR ONE GLASS TRIANGLE FOCAL BEAD that is created by created a small yellow bead and the layering it with yellow and clear glass frit into a mold and then refiring & melting to 1425 degrees in a glass kiln. Bead is approx. 1 1/8" in diameter with a 3/16" hole. 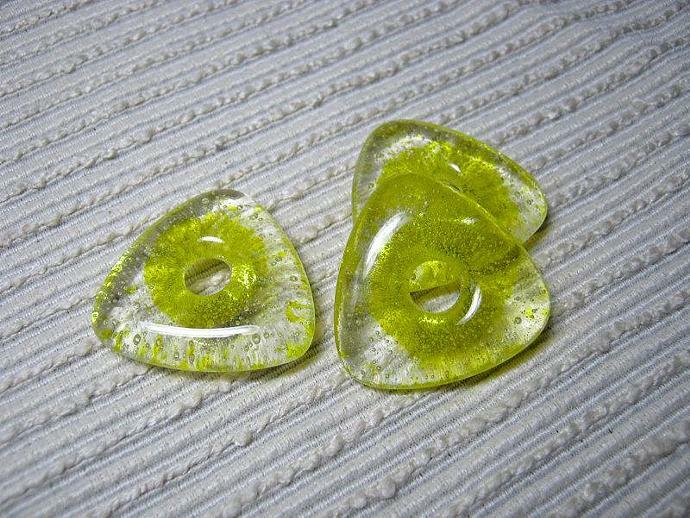 MAKES A TERRIFIC FOCAL BEAD for your next craft or mixed-media creation! This bead is silky and smooth to the touch...great for meditation to counteract any worries.